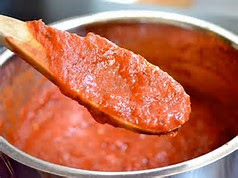 Having gone on yesterday about Brits making their own pasta sauce and doubting whether it was true or not, due to the slide in sales of ready made sauces, I thought I should offer readers a simple home-made tomato pasta sauce recipe. Here goes.. Core the tomatoes and puree in a food processor with the basil leaves (or chop the tomatoes and basil very finely and stir together). 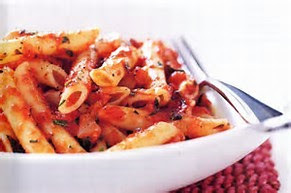 Stir in the garlic, passata (or tomato puree), oregano and olive oil and season well. Leave for at least 30 minutes to allow the flavours to blend. Heat up the sauce and toss through your cooked pasta. Or use it as a pizza topping. You see, it's so easy - who needs a jar of Dolmio?